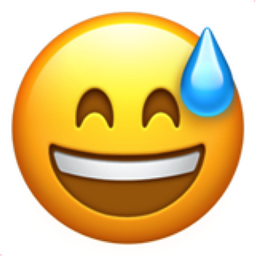 - This emoji represents my anxiety/depression and having to fake a smile when I really want to cry. - This emoji represents my love for singing. - This emoji represents my love for my internet friends all over the world and to show that they are my world. - This emoji represents all the thoughts that I have and all the things I'm too afraid to say. - This emoji represents everyone that has been bullied and as a result committed suicide because it's very close to my heart and I want to help as many people as I can who feel this way because I want the world to be a better place. 05 Mar 15 copy & paste +upvote -downvote 😅 - This emoji represents my anxiety/depression and having to fake a smile when I really want to cry. 🎤 - This emoji represents my love for singing. 🌎 - This emoji represents my love for my internet friends all over the world and to show that they are my world. 💭 - This emoji represents all the thoughts that I have and all the things I'm too afraid to say. 👼 - This emoji represents everyone that has been bullied and as a result committed suicide because it's very close to my heart and I want to help as many people as I can who feel this way because I want the world to be a better place. I swear getting job interviews is a good thing but all my mum seems to do is moan still? why am I laying here as if I have nothing to do? Like Smiling Face with Open Mouth and Cold Sweat Popular Emojitweets 1?